Raven-Symoné and the cast of Raven’s Home had a day out at Disneyland! 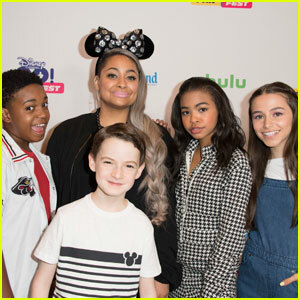 The cast – including Issac Ryan Brown, Navia Robinson, Jason Maybaum and Sky Katz – all stepped out to attend the Disney Channel GO! Fan Fest on Saturday afternoon (May 12) at Disneyland Resort in Anaheim, Calif.
During the day at the park, the group took part in a panel and meet and greet, where they got to snap photos with some lucky fans. They also got the chance to ride in a parade through the park and have some fun at Carsland. “Thankful to be chillin with my @disneychannel family for #pixarfest2018 @ravenshomeofficial @naviarobinson @ravensymone,” Issac wrote on his Instagram after the event. 'Raven's Home' Will Have a Musical Episode in Season 2! 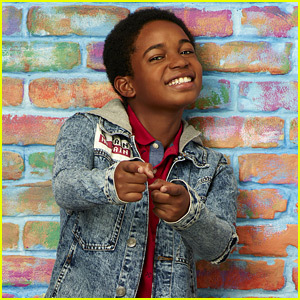 Issac Ryan Brown just spilled some major news about the upcoming season of Raven’s Home – there will be a musical episode! During his appearance on Millennial Hollywood with Dakota T. Jones, the 12-year-old actor dished on the details. “I’m telling you guys this on the low, we have a musical episode coming out during second season which is gonna be really fun,” he shared. The episode, Issac adds, inspired him to go into music himself. Raven’s Home season two is expected to premiere in July on Disney Channel. Jenna Ortega definitely turned heads in her stunning dress at the 2018 Nickelodeon Kids’ Choice Awards on Saturday (March 24) at The Forum in Inglewood, Calif. 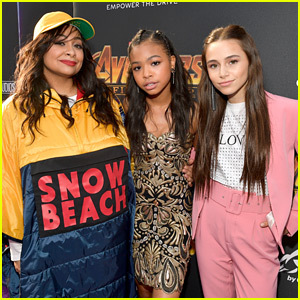 The Stuck in the Middle starlet, who wrapped up production on her show the day before, joined Trinitee Stokes on the orange carpet. Raven’s Home stars Navia Robinson, Sky Katz and Issac Ryan Brown also stepped out for the event. FYI: Jenna wore a Tommy Hilfiger dress, Zara clutch and Aldo shoes. Sky wore a Laer jacket, Asos pants and Vince Camuto shoes. Navia is wearing Dolce&Gabbana dress and Gucci shoes. Sofia Carson is 'Chillin' Like A Snowman' on Tonight's 'Disney Channel Holiday Celebration' - Listen Now! Sofia Carson is getting in the holiday spirit for the Disney Parks Presents a Disney Channel Holiday Celebration with a brand new song! The Descendants 2 star has reimagined “Chillin’ Like A Villain” to “Chillin’ Like A Snowman” for the special event, which airs TONIGHT on Disney Channel. 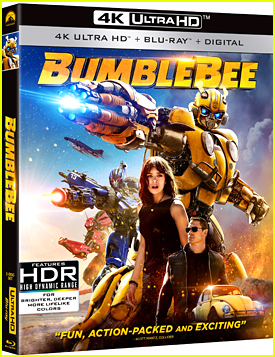 Sofia will join co-stars Dove Cameron and Booboo Stewart at the celebration, plus Asher Angel, Zombies stars Milo Manheim and Meg Donnelly and hosts Raven-Symon� and Issac Ryan Brown. Disney Parks Presents a Disney Channel Holiday Celebration airs TONIGHT, December 1st @ 8:30PM ET/PT on Disney Channel. Listen to Sofia‘s “Chillin’ Like A Snowman” below now!